The socioeconomic agenda is anchored on NEDA's AmBisyonNation 2040 vision. 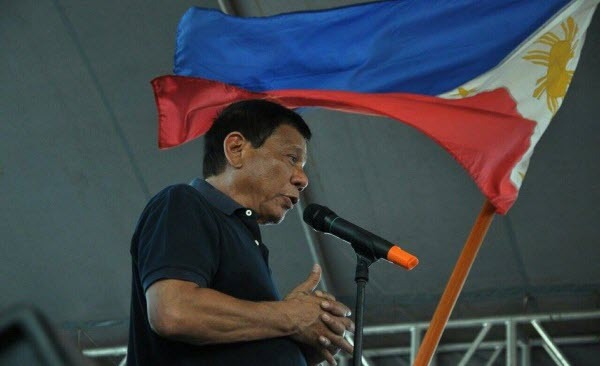 As his inauguration nears, President-elect Rodrigo Duterte ramps up his 10-point socioeconomic agenda for the next six years with a meeting with more than 300 businessmen, Philippine Daily Inquirer reported on Wednesday, June 15. Incoming Finance Secretary Carlos G. Dominguez said in a statement that the transition team and the invited business groups will hold a 2-day workshop called “Sulong Pilipinas: Hakbang Tungo sa Kaunlaran” in Davao City from June 20 to 21 where expected economic hurdles and proposed solutions will be discussed. The report said the President-elect is also expected to attend the event. The roadmap includes a proposal for a “progressive tax reform and more effective tax collection”; increasing competitiveness and ease of doing business and promotion of agribusiness and rural tourism, points already previously highlighted by Duterte in press conferences. Annual infrastructure spending is also suggested to be increased which would hopefully account 5% of the gross domestic product. In support of agribusiness, “security of land tenure” is also mentioned as one the administration’s priorities. Social services are also suggested to be improved through the enhancement of the conditional cash transfer program and strengthened implementation of Responsible Parenthood and Reproductive Health Law. The promotion of science, technology, and the creative arts is also mentioned as a priority. The proposed agenda is anchored on National Economic and Development Authority (NEDA)’s AmBisyon Natin 2040 vision, a study conducted by the agency, which showed what Filipinos want by 2040. The study also included policies and plans, which the next administrations may implement to reach the goal. Related: What do Filipinos want by 2040? Fewer cars may be expected on the streets soon, or at least, that is what transport network company Uber aspires, as it launched its carpool service, uberPool on Wednesday. The newest feature of the app allows passengers to share their ride with up to three other people heading to the same destination in a relatively cheaper price of up to 25% less compared to UberX. Each booking can take a maximum of two seats per pickup.